All the pet owners love their pet and they invest a good amount of money and time to their pet healthy all the time. For this they look at all the possible situations that can create a health hazard for pets and they try to keep their pets away from those health hazard. Well, I appreciate the efforts but in this process many pet owners simply ignore this basic fact that dirty carpet can also create a lot of health problems to many pets. In case you are wondering about those health Dangers that pets such dog or cat can have because of dirty carpet then following are the 7 Health Dangers on Dirty Carpet for Pets. It can cause Skin infection: If you won a dog or cat then you can understand how easily pets can get skin infection due to any kind of dirt and dust on their body. If you will have a dirty carpet in your house with lots of dirt and dust in it, then that will stick to skin of your dog or cat and they can face irrigation with it and eventually they will end up having skin infection because of that issue. The biggest issue with this problem is that you cannot keep your dog or cat away from your dirt carpet as that’s the nesting spot for them and they feel more comfortable there. They can ingest decaying food: Another biggest problem that many dog or cat owner face because of dirty carpet is that their pets ingest the decaying food from carpet. Indeed, this problem would occur only if you will drop some food on you carpet and it will remain there till it start decaying. But this is an unavoidable situation for many home owners and because of that dropping of food you will have a dirty carpet that can make your pets sick. And when your dog or cat will ingest this decaying food then they will have digestive problem and they might start vomiting and similar complications because of that. It can irritate your pets: Pets such as dogs or cat are very much sensitive to bad smell and your dirt carpet will surely emit bad smell from it. May be you won’t be able to sense that bad smell due to your lack of smell sensitivity, but pets are not like human being and they can sense it much before human being. Also, when pets like a dog or cat smell some bad or rotten smell then they start feeling bad because of that. Also, they start feeling irritation because of that bad smell and most of the time you find no reason for that irritating behavior unless you call some expert for the same problem. Your pets might have allergy with it: some time people clean their dirty carpet using chemical cleaner but they do not get rid of the chemicals in a proper manner. Because of that mistake your carpet remains dirt for your pets and that dirty carpet and its chemicals cause allergy to your pets. Also, if you have dog or cat in your home then they face more complication with that as they are more sensitive to that kind of chemicals and that create more complication for them. Hence, it is safe to say that allergy to pet is one more complication that you can have because of dirty carpet. They get infected with diseases: I don’t have to prove it that when you remain in continuous contact with lots of microbes and bacteria then you get infected with various diseases. This is the same case with pets as well and they get infected because of your dirty carpet. The most annoying and dangerous thing about this issue is that your pets get infected with it they get sick when you do not expect any complication from them. This is one thing you or any pet owner don’t want to face in his life but many pet and cat owners face this complication because of dirty carpet. They may get sick because of it: When you get infected with some diseases then sooner or later you get sick also. 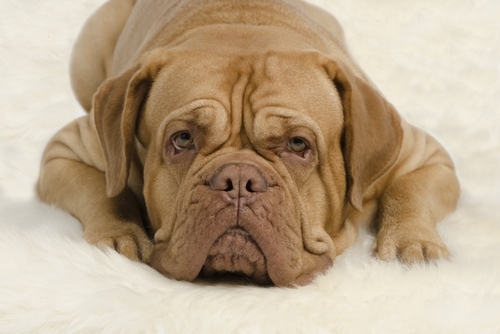 This one issue not only hurt you badly but it creates a lot of other complications as well for you from your pet side. When your cat or dog get sick then you need to take them to hospital and you need to invest a lot of money on their treatment as well. Other than this you need to take good care of your pets also during that time else they may get more sick and that won’t be good for you in any situation. Therefore, I can say that dirt carpet can make your pets very much sick and sometime they may die also because of that sickness caused by dirty carpet. They can infect you also: This is one thing that is not a direct problem for your pets, but once they get infected with any disease then they become a carrier also for that disuse. That means if that disease can infect a human being then you also remain vulnerable to that health issue and you might get sick also because of that. The annoying thing about this issue is that your pet might seem completely healthy to you and you may never suspect that you got infect your loyal dog or cute cat. And when you will get sick then you will not be able to take good care of your dog or cat as well and they will end up having other health risks because of that issue. 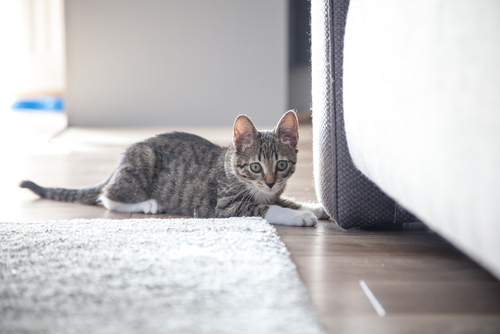 So, if you don’t want to face any of these problems for your pets then it is strongly recommended that you keep your carpet clean all the time. Also, if you think your carpet is looking clean then also you should contact and expert for regular cleaning work. And when you will see the end result of that cleaning then you will realize how dirty carpet you had at that time.